If you happen to locate a better price for a Distinction or Discovery Hotel on another website , based on the same terms & conditions, we’ll match that rate & apologise by way off a 15% discount off that rate. The best Price Guarantee excludes any third party site that offers a deal, without advising the hotel name, rate, until such time as the booking is confirmed. It also excludes rates booked through an auction or bidding website. 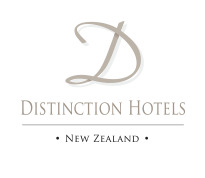 Any claims must be made within 48 hours of the booking being confirmed at your Distinction Hotel of Choice. If you believe a better rate was available on another site at the time of booking, contact the Hotel directly, for immediate assistance.